If you’re in the market for new hydraulic hoses in San Pedro CA, don’t just automatically buy the same brand or type of hose. Instead, check out all your hose options first to make sure you’re getting the best performance and value. 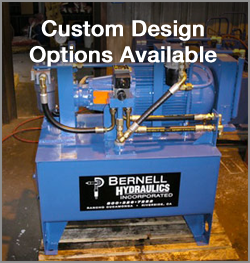 When you call Bernell Hydraulics, we’ll be happy to help you choose the best hoses. We’ll show you hoses from different brands like Parker, Eaton, and Waterman, that all offer the size, temperature rating, and pressure capacity that you require. Be sure to let us know if your system is really hard on hoses, and we’ll show you hoses with high resistance to abrasion, chemicals, and oil. For example, Parker’s Super Tough Cover hoses offer 450 times the abrasion resistance of a generic hose. Improper hose fittings and awkward hose configurations are responsible for many hose failures, and we can help improve those too. If a failed hose catches you off guard, you might find your hydraulic machinery out of commission and your project on hold. Fortunately, you can call Bernell Hydraulics for 24 hour onsite repair and get hydraulic hoses in San Pedro CA replaced quickly and correctly.